The US has urged South Korea to arrest the brother of former UN Secretary General Ban Ki-moon, sources inSeoul's justice ministry revealed on Saturday. 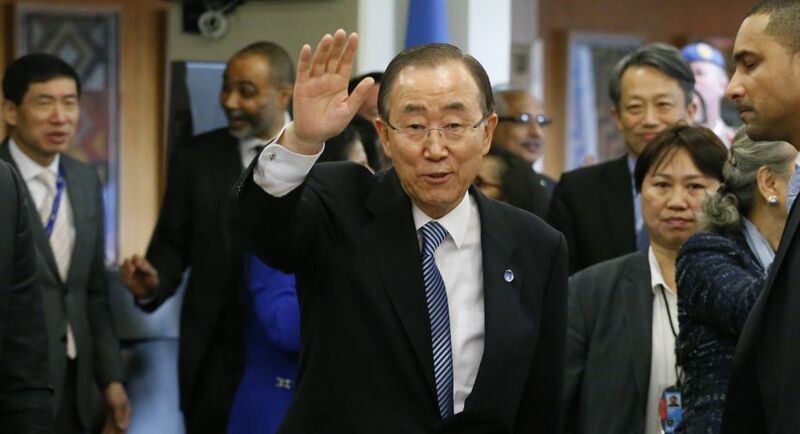 Washington asked Seoul to arrest Ban Ki-Sang, younger sibling of Ban Ki-moon, after the US Attorney General's Office indicted him last week for the attempted bribery of an official from the Middle East in connection with a real estate deal. The justice ministry has begun to process the request and examine applicable laws, a senior Seoul official told Yonhap News Agency. Ban's brother, an executive in the South Korean firm Keangnam, was reportedly entrusted by the company with selling a high-rise building in Vietnam, Landmark 72, for $800 million. He reportedly hired his son (and Ban's nephew) Joo Hyun Bahn, a broker in New York, to secure the deal. The US attorney general's office claims that, through an intermediary, the father-son duo agreed to a $2.5 million bribe (of which they advanced around $500,000), for the official responsible for acquiring the property through a sovereign wealth fund, Efe news reported. While Bahn was arrested last week in New Jersey, Ban Ki-sang is considered a fugitive by authorities. He faces a variety of charges that could carry lengthy prison sentences. Through a statement by his spokesperson, Ban Ki-moon declared he had no knowledge of the case and hoped the procedures would be "carried out strictly and transparently" to address any concerns. The case could pose a serious threat to the older Ban's political aspirations, particularly after he has stepped up public activities in recent weeks as part of what is perceived as a preliminary election campaign before he announces his candidature for the country's top post. However, Ban is yet to confirm if he will contest the election, at a time the country is in the throes of a major corruption scandal that led the Parliament to impeach President Park Geun-hye last year.